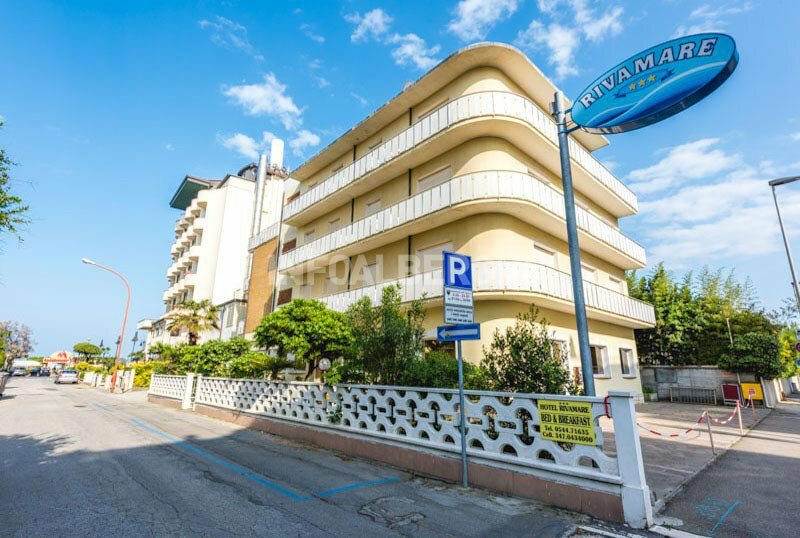 The Hotel Rivamare B&B is a 3-star hotel in Cervia ideal for those looking for a flexible stay, it is located a few steps from the sea and offers comfortable accommodation in a b & b or just a bed and breakfast. Guests have an entrance key for the return at night without time limits and services such as WI-FI. It admits animals of all sizes. The hotel is located near the sea and the centuries-old pine grove of Cervia. The historic center and the train station are just 5 minutes away by car or, alternatively, a 25-minute walk. Furthermore, the area is rich in activities, markets, shops, restaurants and pizzerias. In 20 minutes drive you reach the playground of Mirabilandia. All rooms have air conditioning, digital terrestrial TV, safe, telephone and private bathroom with hairdryer. Most of the rooms have a balcony, some with sea views. FAMILIES: family solutions are available for large groups and cots for children. Fenced garden, lift, reading room, TV room and bar. PARKING: discovered and available subject to availability. PETS : animals of all sizes allowed for free. BREAKFAST : international buffet breakfast with plenty of homemade desserts, fruit and a tasty salty corner with cold meats, cheeses and focaccias available. At meals: high chairs at the table. The hotel has an agreement with Bagno Bologna, a bathing establishment equipped with a bar-restaurant, hot showers, private parking, a playground area and entertainment for children.